TORONTO. May 19, 2017. The 2017 Scotiabank Toronto Waterfront Marathon, Half marathon & 5K Finisher medals were unveiled last week as more than 120 local runners led by the RunTObeer crew and Canadian Olympians Reid Coolsaet and Lanni Marchant covered a mystery “reveal run” from the Rorschach Brewery to the Leuty Lifeguard Station. The actual unveiling was done by Marchant and Coolsaet, who have been important parts of the Toronto Waterfront Marathon event. In 2013, Lanni ran 2:28:00 at the IAAF Gold Label race, to take out a 28-year old Women’s National Marathon Record. In 2011, Reid almost re-wrote Jerome Drayton’s 1975 Men’s Record, as he surged to take on the East Africans in The Beach section, before fading a little in the last 5k to come home 3rd (2:10:55) in a world-class field and book his ticket to the London Olympics. The Olympians were joined in the ceremony by the artists/designer; Dr. Johanna Carlo and Jessica Wright, Director of the Beach Village Business Improvement Association ; and Paula Murphy of Pegasus, the neighbourhood charity for the race , who invited the world to run The Beach on October 22nd. 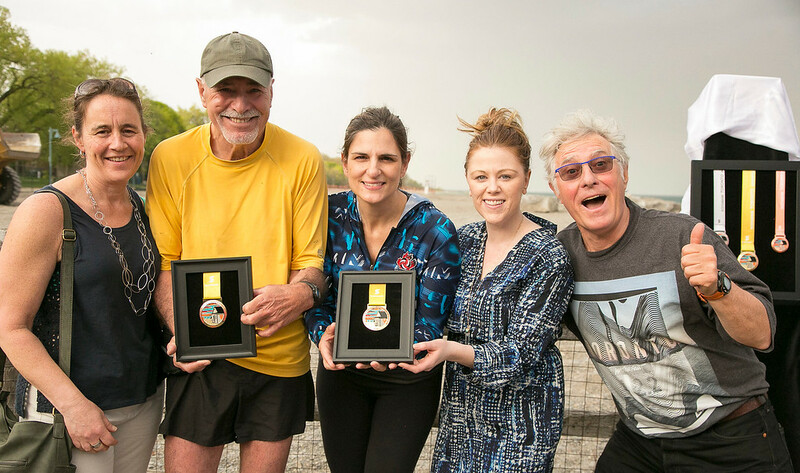 On that day, some 26,000 runners of all abilities, from 70 countries are expected to earn one of these fabulous souvenir medals of the city and its marathon, and take them home around the globe. 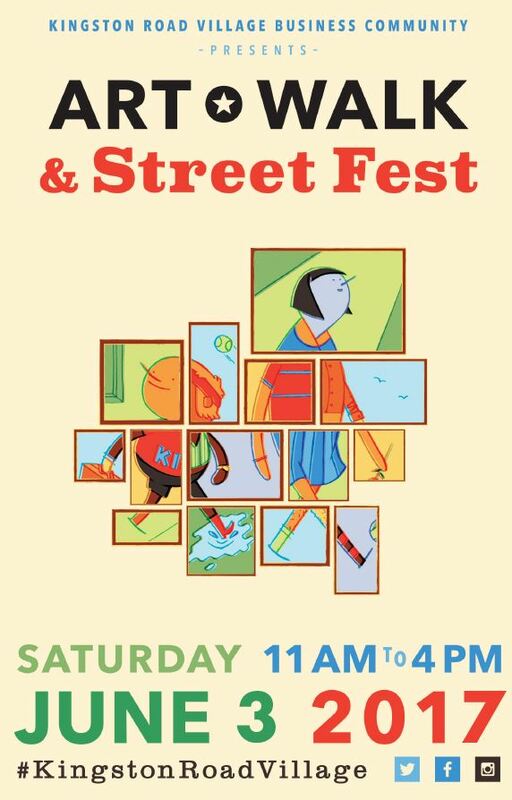 Be sure to check out the Kingston Road 2017 Art Walk and Street Festival, From 11am to 4pm on June 3rd! All are welcome to attend!